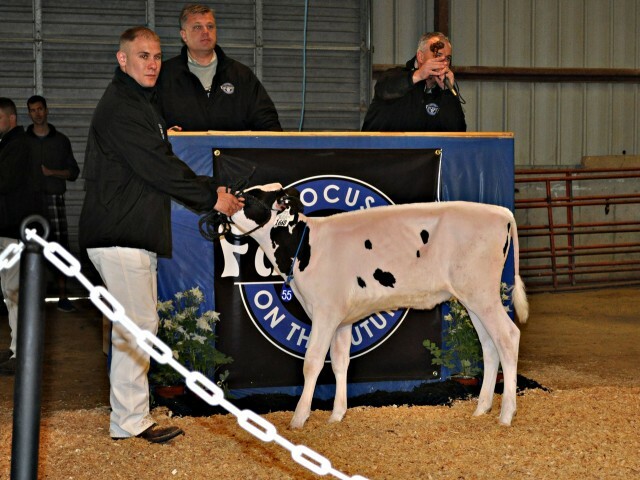 Tom Simon: 563-599-9183 Rick Simon: 563-744-3541 Tim Rauen 563-590-7871 Bill Rauen 563-599-9384 Working with the breed's most elite cow families from the Barbies to Shottle May and Chief Adeen to Pledge! Are you looking to add another high type red bull to your list? Make sure to be on the lookout later this year for Farnear Altitude-Red. Altitude scores a PTAT +3.72 and a high +3.41 udder composites! He is RED, from a VG-87 Mccutchen back to Apple! Farnear Alanna Always-ET VG-85 was 1st Junior two-year old at the Iowa State Fair. She scores a high PTAT +3.64... She is also a Beemer granddaughter of Apple and has a Crush son at PTAT+3.94! Genosource and Farnear Holsteins have assembled a tremendous lineup for this coming Friday May 5, 2017 in Dubuque, Iowa at 12PM CST. There will be several extroardinary animals selling that will fit your specific goals. 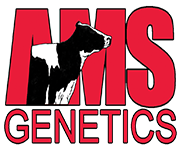 Whether you have an interest in show cattle, elite genomics, red and white or production animals. So don't miss out on this opportunity to purchase great cattle! The Top 25 Net Merit $ Cows and Heifers has been uploaded to the website. Topping the Top 25 Cows is Ms Delicious Nightout with NM$+927, followed by her clone and dam. High ranking heifer is Sandy-Valley Highlight NM$+1074 owned by Sandy-Valley Farms. Holstein Plaza members consign to upcoming APPLE MANIA SALE! The Apple Mania II 2017 Sale is scheduled for this upcoming Saturday March 4th at 10:30am at the Great Northern Sale Arena in Fond du Lac, WI. Featuring 90 impressive lots all backed by KHW Regiment Apple-Red-ET EX-96-3E! 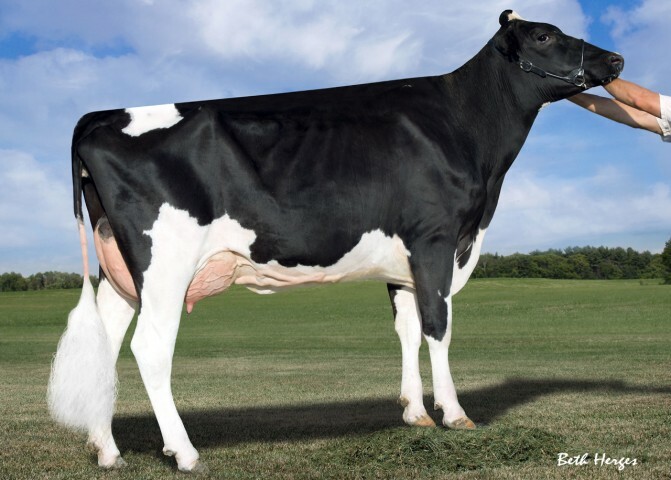 Siemers Delta S-Roz Ann is the #1 GTPI Female between 9-24 months of age scoring GTPI+2835! An exciting donor update from Farnear Holsteins. Farnear Atwood Milli-ET | Exciting HIGH PTAT (+4.15T) Atwood daughter from the same cowfamily is GOLDWYN! Morsan Miss Demeanour-ET VG-86 | The +3.91T Aftershock daughter of Eastside Lewisdale Gold Missy EX-95... Whatch for Missy on the Royal Winter Fair! Embryos from the Maternal Sister to Supersire 1757 Sell! 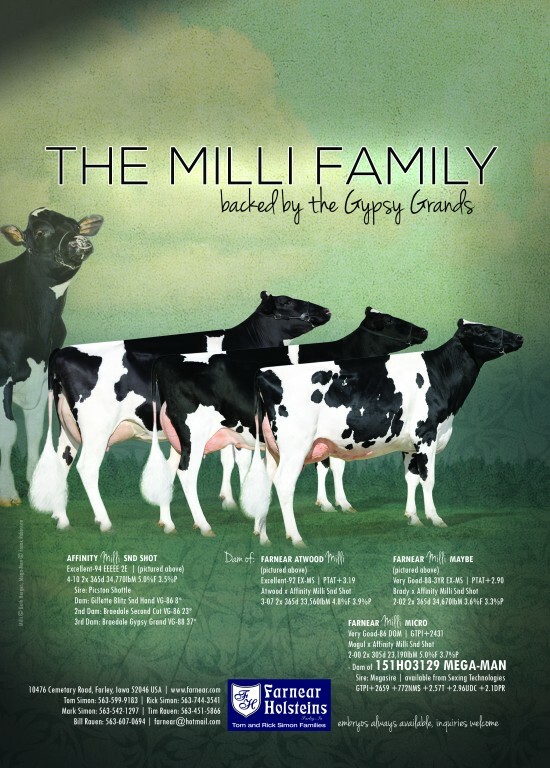 The August Proof Run turned out to be a great succes for the Gold Missy cowfamily, after numerous successful shows this great cowfamily also delivered the #1 GTPI sire in the breed Butz-Hill Supersire 1757-ET GTPI+2607 3.17T. In The Holsteins Plaza Online Embryo Auction two embryo lots from the Alchemy sister to Supersire 1757-ET are selling! 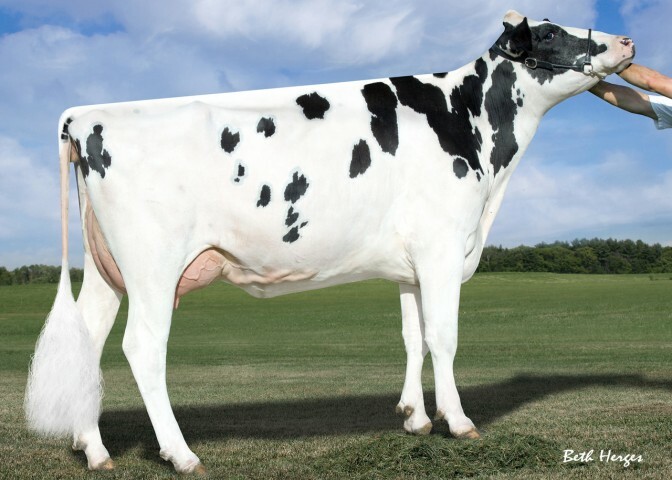 March 2013 Massey daughter of Larcrest Case VG-86 DOM topped the Farnear Focus on the Future Sale 2013 at $185,000 selling to Alta Genetics. Case Caite has a GTPI of +2505 and is the No. 1 daughter by a proven sire in the U.S. Second high seller was Lot 28, the +2527G Supersire daughter of Vision-Gen Sh Sho A12037 VG-87 and sold to Select Genetics for $121,000. Selling for $109,000 and the third high selling lot was Farnear-TBR-BH Fantasy, the +2521G McCutchen daughter of Opsal Planet Fame. Congratulations to the team at Farnear Holsteins for putting together a fantastic lineup of 112 head selling for an average of nearly $15,500. Fantastic Offering from Planet Montreal! Five #1 grade Cashcoin embryos from the VG-87 EX-MS DOM Sully Planet Montreal sell on the Holstein Plaza Online Embryo Auction... take advantage of this excellent opportunity to invest in the Sully Shottle May-TW family! Click here for more details. Farnear has #2 McCutchen following November run! The Ramos Jelly family continues to produce the high ones! Farnear McCutchen Jada is the #2 GTPI McCutchen in the world following the November proof run with a GTPI of +2510, +887NM$ and +3.00T. Jada is the Sept. 2012 daughter of Coyne-Farms Freddi Jeven followed by Coyne-Farms Ramos Jelly. Check the Holstein Plaza Online Embryo Auction for opportunities direct from Jelly. +2429 GTPI *RC female from Altitudes just sold in Iowa! Far-R-La Anaheim Angelie-ET *RC ... the highest GTPI *RC female to sell in public auction with a GTPI of +2429 just sold for $68,000! 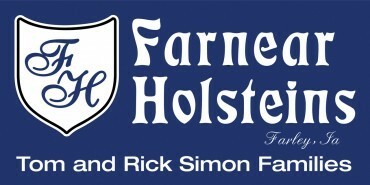 Consigned by Farnear Holsteins and Demmer and from the great Apple and Altitude family! 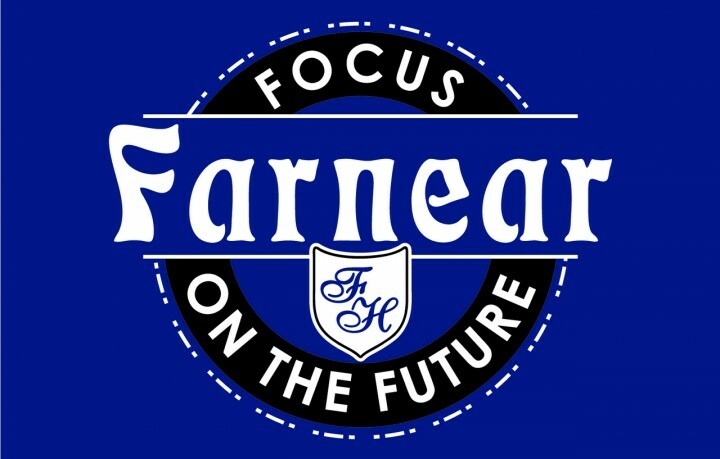 Outcross Opportunities from Farnear at Breeders Holiday Classic! Farnear Holsteins has several consignments selling tomorrow in the Breeders Holiday Classic, West Union, Iowa and highlighted by Farnear Dancing Mickey's highest two daughters! Farnear Showoff Mickey GTPI+2402 sells and is a Shamrock from Million Dancing Mickey and the great Honeycrest Kathryn family. Also selling is Farnear Laughter Mickey, the +2289 GTPI Lewis daughter of Dancing Mickey. One of the best Planet's in the country sells and from the great Rudy Missy family. Boasting a GTPI of +2277G +3.58T and already VG-86-2YR, she is also dam to one of the highest Type Evolve daughters in the world! From SHOTTLE MAY... two Iota granddaughters sell at +2164 GTPI and +2082 GTPI. 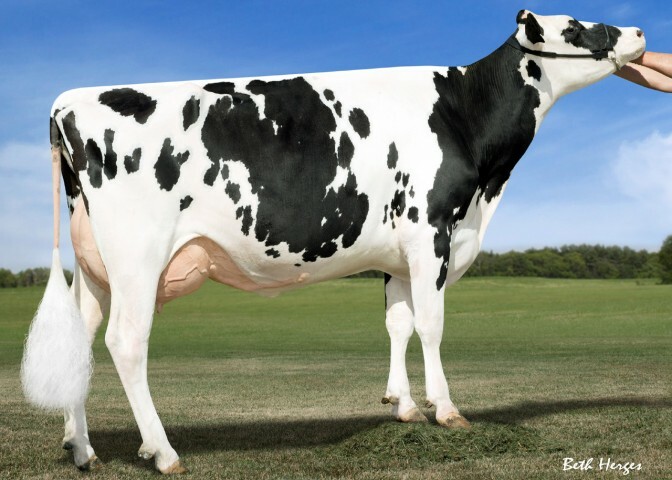 Dam is the popular Planet daughter, Montreal VG-87-2YR, and #15 GTPI Cow from the Locator List 8/11! Farnear-TBR-BH Cashbust-ET GTPI+2403 is the #2 NM$ female from the Nov. 2011 run at +910NM$. 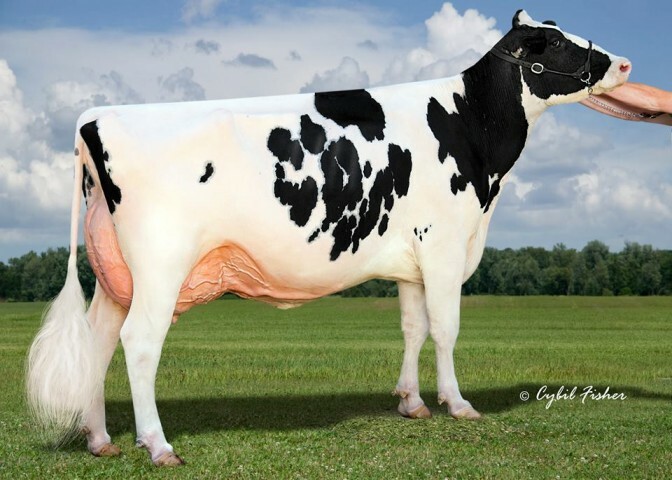 Cashbust is a Robust daughter from a Goldwyn followed by Chassity and the great Barbies! 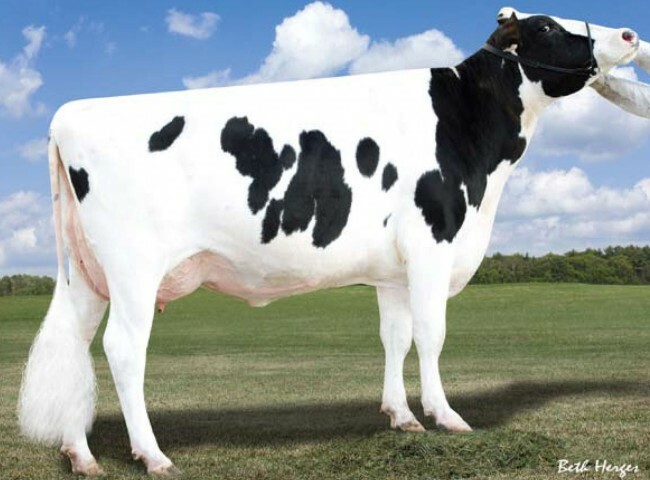 She is owned by Farnear Holstein and Butz-Hill. Selling tomorrow on the Legends of the Fall Sale is a +2410 GTPI Bowser from the Blackstar Kathryn family. Complete outcross and sells with pregnancies and transfers by Numero Unio and Epic along with numerous embryo contracts. Selling tonight in the Planet Holstein Sale from Farnear... Lot 48: Another first choice opportunity sired by Gold Chip and from several female pregnancies due in April 2012 out of the #2 O-Style heifer in the breed – Farnear O-Style Light, GTPI +2249. Her sire stack offers something a little bit different; O-Style x Mac x Throne x Patron; Gold Chip should complement this well! Selling as Lot 21 in the Planet Sale tonight... First Choice Female by the hot new bull, Amighetti Numero Uno (GTPI +2632) out of the promising high genomic heifer Honeycrest Bwsr Glisten-ET (GTPI +2410). 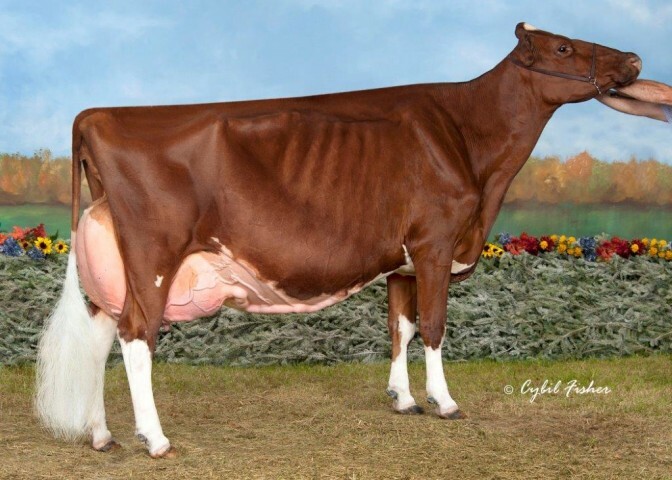 With a Parent Average of GTPI +2521, the first choice heifer from these pregnancies due May 2012 offers not only high figures, but a pedigree free from Goldwyn and distant Shottle influence three generations back. An exciting prospect to work with! Early Cameron, the #6 GTPI Sire, from Sully Planet Montreal VG-86-2YR GTPI+2250 sells on the Regancrest Summer Select Sale. Montreal is the Planet daughter of the former #1 GTPI Cow, Sully Shottle May-TW VG-85 DOM. Farnear sends three fantastic offerings to the International Intrigue from Comestar Lautamiria Jeeves-ET GLPI+2565, #1 GLPI Jeeves in the Breed. • First Choice Female (sire to be announced) x Lautamiria Jeeves GP-84 VG-MS @ 2-02 and from the Laurie Shieks! Farnear sends Bowser granddaughter of Shottle May to WI Sale! Selling in the Central Wisconsin Summer Event Sale on Thursday, July 21 is a Feb. 2011 Bowser 3K GTPI+2108 from Planet Montreal GTPI+2192. Montreal is the VG-86-2YR Planet daughter of the genomic powerhouse Shottle May! +2243G Shot Al daughter from Atlee family sells! 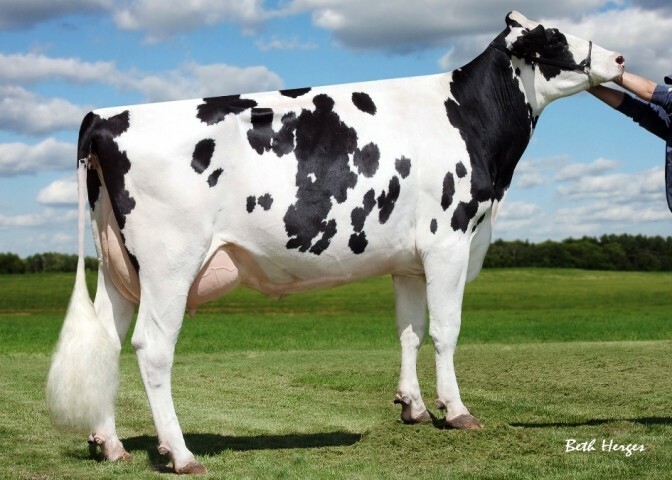 Farnear sends a +2243G Shot Al daughter to the Memorial Day Spectacular Sale. Dam +2016 Active x VG-87 Buckeye x VG-87 DOM Adam x Atlee!